Are you looking for an affordable, durable, easy to clean flooring? AWS tiling will square off the brilliance of your home with porcelain, ceramic, mosaic, marble or slate tiles. Our experienced team can create a new, more modern look you can enjoy for years to come with our Melbourne, Perth and Sydney floor and wall tiling services. Each member of our team is fully qualified and up to date with all the latest methods of floor and wall tiling, feature wall, paving, stone work, caulking and waterproofing. If your floor is not suitable for tiling, we also re-level with sand and cement screed to get a super flat finish. We will come out and spend the time with you to fully assess what’s involved in the job. AWS Tiling Service offers quality service at a competitive price and we are happy to come to your home and help with ideas on what we can do to add value, give a much needed facelift or to create a whole new look inside and out. 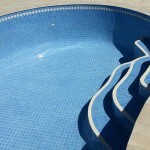 With expertise in all areas of residential tiling, we offer a complete integration of services. Whether it is a bathroom, kitchen, wall or floor, indoor or outdoor, we can handle every aspect of the tiling job. At AWS we also take great pride in providing high quality workmanship, attention to detail and stay in constant communication with our clients regarding details to ensure the results will be spectacular. If quality tiling is your first priority you can rest assured that AWS will complete your tiling project beyond your expectations with 100% customer satisfaction, on time and on budget. The next time you are considering a renovation project for your kitchen, bathroom or laundry or are seeking an expert tile contractor for quality installation call AWS and we will be happy to discuss your ideas. There is no job to big or too small. Before any tile installation is performed we ensure that the surface is level and prepared for a proper finish that will last for many years. Most people don’t pay enough attention to the surface, but this is where we start. Preparing for tile installations is as important as actually installing the tiles, which is why our professional tilers use all the appropriate steps to ensure customer satisfaction. Laying tiles on a crooked, wavy floor will cause your tiles to be uneven and rigid. Is your kitchen out-dated and in need of a renovation? Let us transform your tired kitchen into the kitchen of your dreams. The kitchen is one of the most important rooms in your home. How would you like new floors, enclosures, and splashbacks that reflect uniqueness and appeal throughout your residential or commercial property? Count on our professional team at AWS for detailed tiling work that breathes more life into your home and business. AWS tiling excels in tile installations that provide more wonder for your interior while also modernising your property’s décor. Is your bathroom in need of a facelift? 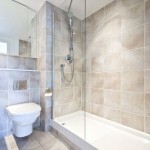 We offer complete bathroom tile services. No matter if you’re looking for porcelain, ceramic, mosaic or marble tiles, our professional tile installers supply the quality and unsurpassed expertise to match your tiling needs. We use various suppliers to provide you with multiple tile choices at prices that won’t exceed your budget. There’s no other tile installation company that can do as good a job as ours, which is why you should contact us today for your tile installations. Have you been thinking about renovating your laundry? We offer complete basement tile services. With more than 25 years of combined experience in tile installation, AWS is your resource for exceptional tiling work. We like to make you comfortable by explaining and discussing the details of each step of your project. Big, Bold, Crazy or small, Simple and subtle, anything goes when tiling these days. When it comes to updating a bathroom, laundry or kitchen the choice of floor surface must take into account aesthetics, durability, and ease of cleaning, safety and waterproofing. While tiling your wet areas has practical motivations, it can also be done in style. The client’s main choice was always for neutral square ceramic tiles in standard sizes, perhaps with a few border or feature tiles. This narrow focus has changed, with clients becoming more adventurous and choosing anything from big bold tiles to tiny mosaics, or interesting materials such as glass, ceramic or natural stone. The choice of material and size is all about an impression of space. Larger tiles have less grout lines and make your surface look bigger. Another important consideration when choosing tiles is safety. In wet areas you do not want to have a slippery surface. Natural stone has many beautiful characteristics and there are no two pieces of natural stone alike. Some stones may have extreme variation in colour and veining from tile to tile or slab to slab. This characteristic is common in many types of stone, and is part of the inherent beauty of using a natural product in your home or project. Porcelain is fairly new to the ceramic tile family. 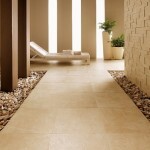 When discussed individually, these two types of ceramic tile are referred to as porcelain and non-porcelain tile. Over the years, porcelain has become increasingly popular. The production and manufacturing process has rendered a stronger, more durable tile versus non-porcelain tile. Water absorbency rates are less, which enables porcelain to better withstand the elements. Porcelain also has the highest PEI rating (five), which means they are extremely durable and less prone to scratches and wear and tear. Unfortunately, porcelain tile is more expensive and offers less color and design options than non-porcelain. Ceramic tile is one of the most popular tiles used in homes; it is a popular, time-tested covering for floors and walls. It is a great choice for wet areas and can be budget-friendly. 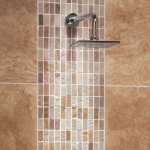 Ceramic tiles come in a wide range of colours, sizes, textures and finishes, in addition to a range of prices. Ceramic materials are manufactured using natural materials. They do not have odours, allergens or bacteria. It is a durable scratch resistant material that can stand up to high temperatures. Ceramic tiles are popular in showers and bathtub enclosures because they are water resistant making it easier to wipe and keep clean. Mosaic tiles can be used for bathroom floor tiles, shower tiles, swimming pool mosaic tiles, outdoor mosaic water features, kitchen glass splash backs and mosaic tile worktops. Mosaic Tiles are not only simple to install they are spectacular features in the home and office. 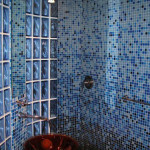 Mosaic Tiles are the flexible design solution. With an extensive range of colours, designs and applications, Mosaic Tiles create attractive feature walls and surfaces in all bathrooms, kitchens, and indoor and outdoor areas. Glass Mosaic Tiles are a popular feature used in both residential and commercial applications due to their hard wearing, waterproof, frost proof, heat resistant and colour fast properties. Marble is a soft stone, that tends to have a wide variety of veiny colours in each tile, it is known for its one of a kind look. Marble is a metamorphic rock found in India, China, Italy and Spain. The ability of marble to reflect light makes it a popular choice for homeowners and it can be a great asset to add to your home. There are many different manufacturers that can provide marble to customers. Choosing the right colour of marble-tile can add a distinctive and sophisticated look to any area. 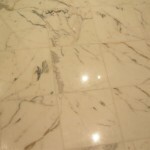 Marble is a popular choice for counter tops, floors, foyers, fireplaces, facings and bathrooms. Slate is very popular in flooring, countertops, and architectural applications, due to its durability, its natural beauty, and it’s relatively low cost. Its cleft surface makes it slip resistant, causing it to be popular in kitchens, bathrooms, and restaurants, as well as public hallways and other high traffic areas. 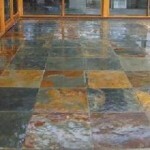 Slate comes in a large range of colours, and it is durable. AWS love to install slate in homes allowing them to work with lots of colours. AWS Clients have been extremely satisfied with the end result, there are a plethora of companies that promise the world and then don’t deliver. We strive to give you the results that you deserve and should be receiving. What you will get from AWS is honesty with attention to detail, which is a unique service in the industry, and one, which sets us apart from other tiling companies. We use our many years of expertise in the industry to bring you the latest ideas and designs.